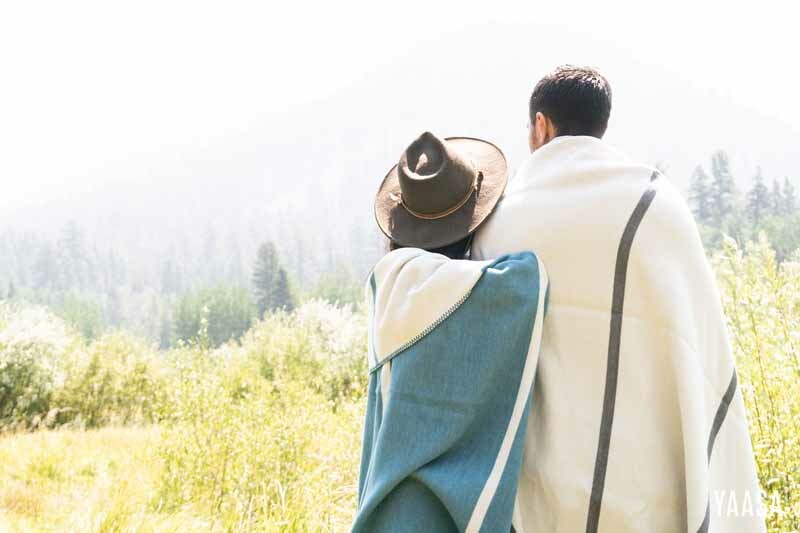 The Elements Blanket is an innovative creation made of a combination of materials, which Yaasa says can protect skin and enhance recovery and comfort. One of these materials is SeaCell, which Yaasa says contains antioxidants that can effectively neutralize free radicals and protect skin. The second material is Celliant which they say absorbs and recycles your body’s natural energy, supports faster muscle recovery, and promotes a temporary increase in local blood flow and restful sleep. 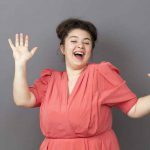 According to the makers of Celliant, the product is a revolutionary, patented technology that harnesses and recycles the body’s natural energy through the medium of fibers. Celliant was developed and tested under the guidance of a scientific advisory board, and has undergone nine clinical trials, including studies at University of California Irvine, University of Calgary, UC Long Beach Veterans Affairs Medical Center, Texas A&M University, and Loyola University Chicago. Up to 12 recycled plastic bottles are used in the production of each blanket, while SeaCell Fiber is fully biodegradable and compostable. 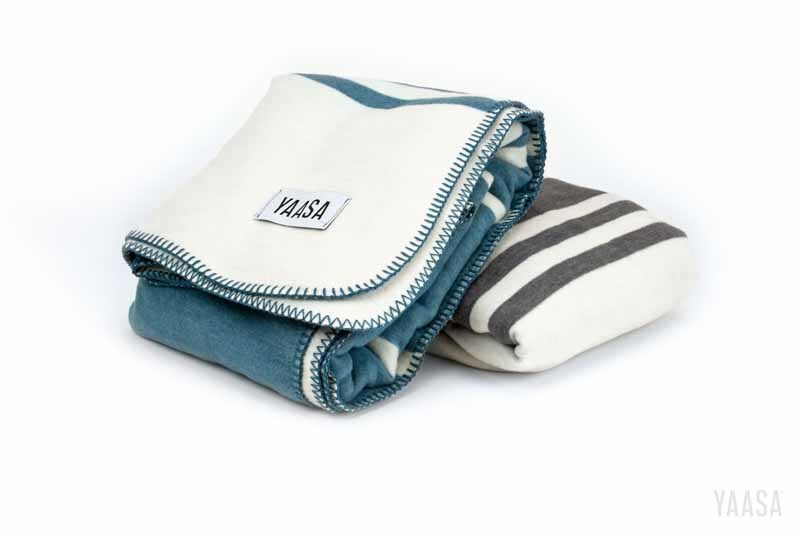 The Yaasa Elements Blanket is available in Charcoal and Cream or Blue and Cream.